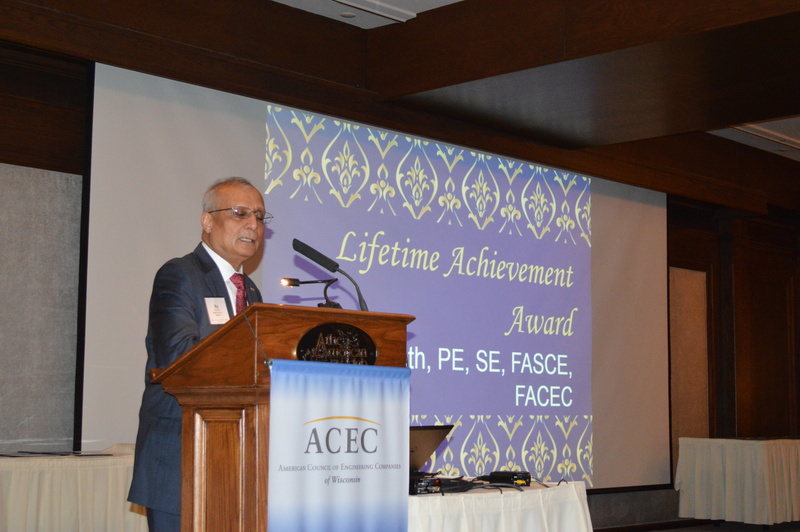 ACEC WI is honored to recognize Raj Sheth, PE, SE, FASCE, FACEC with the Lifetime Achievement Award at the annual Awards Banquet on March 23, 2018. The Lifetime Achievement award honors the legacy of members who had a profound impact on both the organization and the engineering profession. It was developed to recognize an elite group of influential members for significant contributions of the course of a career. As CEO and Chairman of the Board at Mead & Hunt, the firm grown remarkably under his guidance. Ownership has become broader and the firm has grown from 100 to 650 employees around the country. He created the Mead & Hunt Cares charitable giving program in addition to growing his company. He also gives back in other ways by mentoring engineering students at UW-Madison and other universities. 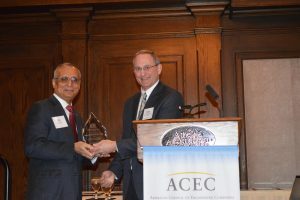 Through the Lifetime Achievement Award, we thank Raj for his dedication to ACEC WI and the engineering profession in Wisconsin.